Welcome!  The Office of International Student and Scholar Services is delighted to help and serve you as you enter the exciting world of being an international student/scholar at Buffalo State. We serve about 200 international students/scholars each year and assist students to make a successful transition to Buffalo State and the United States. We assist you with immigration obligations in meeting governmental laws and serve as a liaison to appropriate international agencies. The Office of International Student and Scholar Services offers a special International Student Orientation at the start of each semester to address the unique needs of international students. This orientation includes academic screening, testing, and placement of international students in the English Profeciency. Officials from Buffalo State, the Department of Homeland Security, and Bank Of America participate in this program. You also will be introduced to international Buffalo State students who are specially trained to welcome and assist you. The office organizes international cultural events, seminars, workshops and conferences throughout the year on campus in general and in the Global Living Center in particular. It also coordinates the International Student Advisory Council and supports the International Student Reading area in the E. H. Butler Library. The Office of International Student and Scholar Services is open from 8:30 - 4:30 Monday, Tuesday, Wednesday, Thursday, and Friday. We are located in South Wing 410. Please feel free to come say hello or stop by the office with any questions or concerns you may have. We are happy to be able to provide you with assistance!